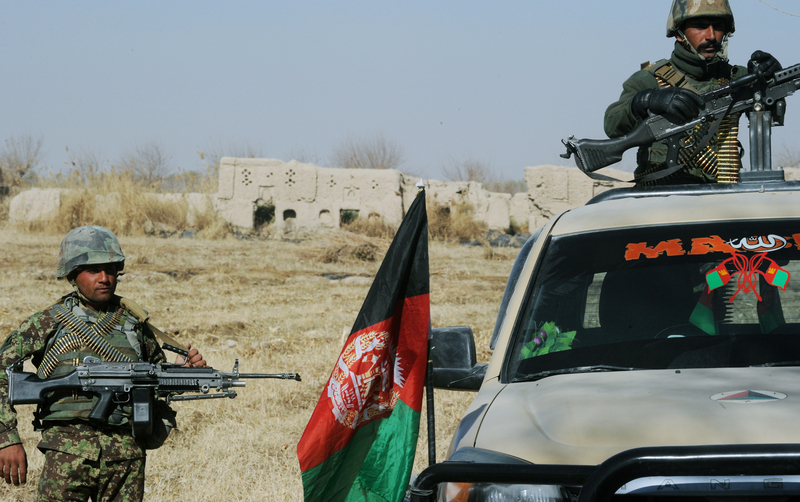 KABUL -- The Taliban are continuing to splinter in Afghanistan, with one faction reportedly attempting to assassinate a leader of another faction. 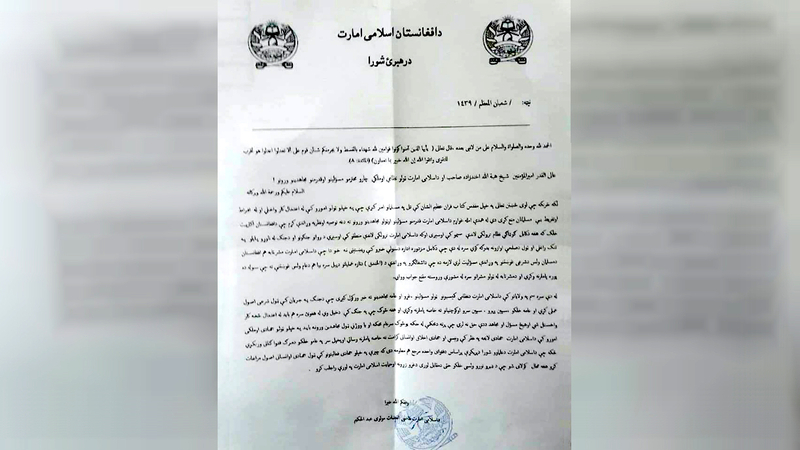 Mullah Manan Niazi, second in command of a Taliban splinter group under the leadership of Mullah Muhammad Rasool, claims that another group of Taliban led by Mullah Haibatullah Akhundzada has been attempting to kill him. "The Taliban's shadow governor in Helmand Province, as well as Siraju and Basheer, other Taliban commanders loyal to Mullah Haibatullah, following orders of their masters -- meaning Pakistan, Iran and Russia -- sent three suicide attackers to assassinate me," Niazi, former governor of Balkh and Herat provinces during Taliban rule (1996-2001), told Salaam Times in an exclusive interview September 27. "Our forces, however, arrested them before they could carry out their attack," he said. "These suicide attackers admitted that they were deceived and they regretted their actions. Hence, we let them go, since they had families," he added. Rasool is said to have had a close relationship with Taliban founder Mullah Mohammad Omar before Mullah Omar's death. Mullah Omar died in 2013, but the Taliban hid his death until July 2015. When news of his passing broke, Rasool split from the main Taliban group and formed his own movement, called the "High Council of Afghanistan Islamic Emirate". Rasool's followers contested the ascension of former Taliban leader Mullah Akhtar Muhammad Mansoor, who was killed in Pakistan in 2016, as well as the leadership of Mullah Haibatullah. "Neither Mullah Akhtar Mansoor nor Mullah Haibatullah possessed the necessary authority and suitability to assume leadership of the Taliban," Niazi said, adding that the two men rose to power without the support of a majority of Taliban members. Niazi reiterated the differences between Rasool's faction and the Taliban under Haibatullah's leadership. 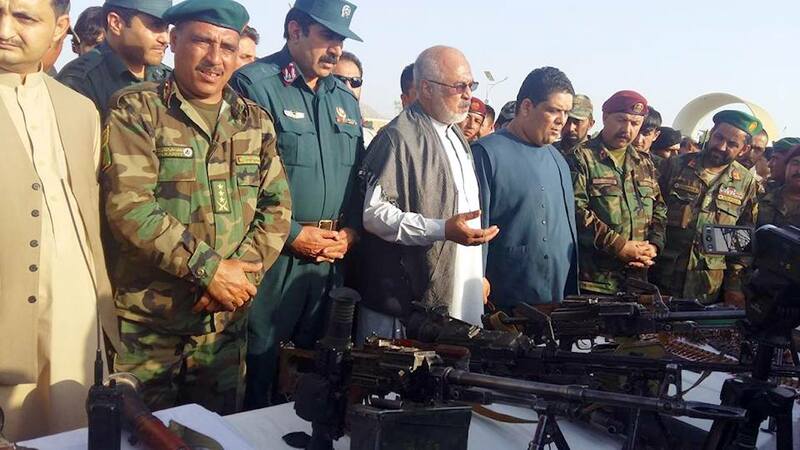 "Ever since separating from them [in 2015], we have been fighting Mansoor and then Haibatullah in Herat, Helmand, Zabul, Farah, Ghor and Badghis," he said. "Recently, there was a fierce battle between us and the Taliban forces led by Mullah Haibatullah, during which we killed 16 of Haibatullah's fighters," Niazi said. "The weapons we took from them were very advanced and were equipped with scopes. They had Russian brands and were smuggled to them through Iranian territory." Although he continues to battle other Taliban factions and refuses to join the Afghan peace process, Niazi expressed exhaustion with the on-going war. "The 40-year-long war has made Afghanistan and Afghans tired," he said. "We want all Afghans to come together and to solve their internal problems at negotiating tables. We want national unity among all the tribes of Afghanistan, and we long for peace and stability." "War is no longer a solution," he said. Nonetheless, Niazi said his faction is militarily strong and ready and "will continue fighting [Haibatullah's faction] until it is destroyed". "After the split of the Mullah Rasool group from Mullah Akhtar Mansoor in 2015, on several occasions [members of the two factions] have attacked each other," Rahmatullah Nabil, former director of the National Directorate of Security (NDS), wrote in a September 30 email to Salaam Times. "This is not the first attempt," he said, pointing to the November 2015 slaying of Mansoor Dadullah, one of Rasool's deputies, in Khak-e-Afghan District. Zabul Province, and a March 2016 attack on Mullah Raz Mohammad Nangialai in Zirkoh village, Herat Province. The Taliban are most afraid of internal division and disputes, Nabil said. "One of the reasons why Mullah Haibatullah was appointed Taliban supreme leader after the killing of Akhtar Mansoor could be to encourage the [Rasool] Taliban splinter group to rejoin," he said. "To some extent, it worked." "The only person who is still active and outspoken among Mullah Rasool followers is Mullah Manan Nizai, which could make him the [next] target," he said. "There are serious disagreements and distrust," Nabil said, adding that the Afghan government should take advantage of the Taliban's vulnerability and their waning support among Afghans. "The Quetta Council (Shura), under the leadership of Mullah Haibatullah and the Haqqani Network, works for certain interests of other countries," said Dawood Kalakani, who represents Kabul Province in parliament. "They have no intention whatsoever of negotiating with the Afghan government." "They have prepared plans to assassinate and eliminate Taliban members such as as Mullah Rasool, Manan Niazi and perhaps some other Taliban leaders who are leaning towards peace," he told Salaam Times. "Recently dozens of senior Taliban members left Pakistan. They quit the fighting and came to Kandahar with their families," he said. "This indicates further division and disintegration within the the ranks of the Taliban." Leader of the believers, Mullah Haibat Ullah Akhunzada is indeed supreme commander of Taliban and real successor of Mullah Muhammad Umar.